Why spend a fortune booking a flight for a vacation when you can retreat in the good ol’ Garden State? New Jersey is home to a surprising number of charming inns and hotels that are full of character and coziness. If you are looking for a quiet, relaxing and more intimate getaway, the following destinations are perfect for you. 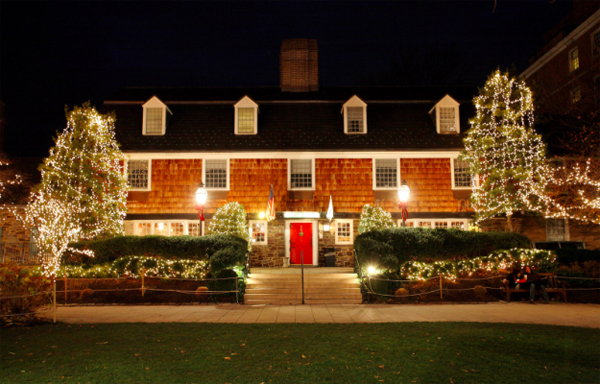 The Bernards Inn is truly one of NJ’s finest lodgings. Since its establishment in 1907, the inn has achieved its mission of providing gracious hospitality to all its guests. Among the Bernardsville countryside, this quaint inn is also known for its upscale dining and library bar that is complete with a live pianist on Wednesday and Thursday nights. Nothing is more Princeton than the Nassau Inn. Located in the heart of town at Palmer Square, this historic hotel is surrounded by the best shops and restaurants in town and is only a block away from Princeton University. The circa 1930s building has 153 rooms and 31 suites available as well as 13 rooms for meetings and banquets. It’s Revolutionary War-era tavern, Yankee Doodle Tap Room, offers casual dining and an upbeat environment for a cozy dinner and drinks whether or not you plan on staying the night. When you stay at the Chimney Hill Estate Inn, you get to call a stunning mansion along the Delaware River your home. Surrounded by historical sites like Washington’s Crossing, this bed and breakfast offers far more than lodging – including alpacas. Perhaps the best part of the Chimney Hill Estate Inn is their onsite alpaca farm where guests are welcome to hang out and feed their furry friends. Located in the Historic North End of Summit in a charming residential area, the DeBary Inn is minutes away from downtown Summit, The Mall at Short Hills, and the Summit train station. It’s the only boutique hotel in town and is available for group events like bridal showers and corporate events. Only 35 minutes from NYC, this stunning mansion is the perfect alternative to staying in the city while still enjoying everything the city has to offer. For over a quarter of a century this Grand Manner has wowed those visiting Morristown, New Jersey. The hotel sits on eight garden filled acres, offers 186 rooms, a heated indoor pool, and a glass conservatory that’s available for weddings and other events. The hotel is decorated with classic furnishings and antiques, but offers modern conveniences and technology. Mere feet away from the NJ transit station with one-hour rail access to New York City; The Madison Hotel is a gem among New Jersey’s lodgings. Amidst a gorgeous residential area and minutes away from town, the Peacock Inn allows its guest to experience all aspects of Princeton. This upscale hotel located in an 18th century colonial style mansion is also one of the premiere restaurants in Princeton, serving upscale contemporary American cuisine. Did we mention that their luxury rooms have heated bathroom floors? Glencairn innkeepers Patty and Mason Tarr do everything in their power to ensure that guests feel at home in their enchanting bed and breakfast. Located across the street from the highly esteemed Lawrenceville Prep School and down the road from Princeton, the inn is surrounded by historic buildings and quaint shops and restaurants. In fact, the inn itself is a historical site. While the British held quarters in Princeton during the Revolutionary War, it is believed that the inn was confiscated by the Brits and briefly used as a Hessian hospital. The Lambertville Station Restaurant and Inn is responsible for the some of the town’s best food and lodgings. The newly renovated inn is right on the Delaware River, providing unobstructed views of the sprawling water and gorgeous bridge to New Hope. It has 46 newly styled rooms and suites that are noted for their modern furnishings and accommodations. The inn cannot be fully appreciated without a meal at the Lambertville Station Restaurant, offering contemporary American cuisine in a restored 19th century train station.